I HAVE ALWAYS BEEN INTERESTED IN REAL ESTATE. I STARTED VISITING OPEN HOUSES AROUND THE AGE OF TEN. I ENTERED BROKERAGE TO LEARN MORE ABOUT NEW YORK REAL ESTATE AND STAYED. What drew you to Urban Compass over the rest of the competition? IN URBAN COMPASS I SAW THE FUTURE: WHILE I AM FAR FROM BEING TECHNOLOGY SAVVY, I SAW HOW CRITICAL GOOD TECHNOLOGY WAS BECOMING TO SURVIVE IN REAL ESTATE. 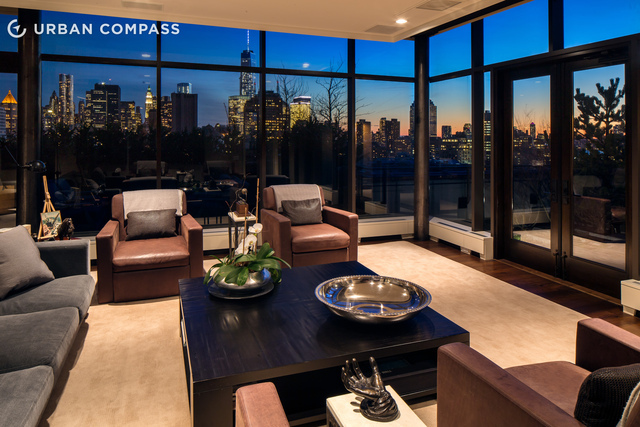 URBAN COMPASS TECHNOLOGY IS DESIGNED TO MAKE BROKERS AND CONSUMERS THRIVE. WHEN GOOD DATA IS TRANSLATED INTO INTELLIGENCE, DECISION MAKING BECOMES SMARTER. AS A BROKER I LEARN SOMETHING NEW EVERY DAY. EVERY BUYER, SELLER, DEVELOPER, RENTER, BUILDING, LANDLORD, TRANSACTION IS DIFFERENT. THEY ALL REQUIRE A DIFFERENT BESPOKE APPROACH. THE BIGGEST MISTAKE I MAKE AS A BROKER IS THINKING I CAN READ THE MIND OF A BUYER. I CAN'T. MY ROLE IS TO PROPOSE. TO PROVIDE GREAT INFORMATION AND INTELLIGENCE. MY BIGGEST SUCCESS IN REAL ESTATE HAS BEEN THE FACT THAT I AM VERY SUCCESSFUL AND HONEST. FEW BROKERS CAN CLAIM THAT. SOCIAL MEDIA IS BECOMING MORE IMPORTANT AS A SUBLIMINAL CHATTER MECHANISM, FUELING THE 'WORD-OF-MOUTH' GENERATION. IT IS ALSO RATHER MESSY AND OVER-CROWDED. LOTS OF SOCIAL MEDIA IS ABOUT CHEESY FAN CLUBS. I PREFER INFORMATIVE SOCIAL MEDIA THAT EXPOSES PROPERTY, NEIGHBORHOODS, DATA, LIFESTYLE. THE INDUSTRY AS A WHOLE IS DESPERATE FOR INNOVATION, AND TECHNOLOGY WILL FUEL THIS. TOO MANY TECH COMPANIES ARE RELIANT ON ELIMINATING BROKERS OR FLEECING THEM.....THE COMBINED EFFORTS OF GREAT BROKERS EMPOWERED BY GREAT TECHNOLOGY IS THE ANSWER IN MY HUMBLE OPINION. A STRONG WORK ETHIC, BEING A HARD WORKER, CONSISTENCY, HONESTY, COMPASSION, BEING A GREAT LISTENER, BEING HIGHLY EDUCATED TASTE AND TREND-WISE, NAVIGATING COMPLEXITIES WITH A SOLUTION FOCUSED MENTALITY. DO YOUR HOMEWORK. DON'T FOLLOW THE HERD. WORK HARD. LOVE WHAT YOU DO. GET DEEP INTO IT. KNOW YOUR SUBJECT BETTER THAN ANYONE. CREATE AN AUTHENTIC BRAND THAT IS YOURS. What's next for Urban Compass and Leonard Steinberg? THE FUTURE IS BRIGHT: WE WILL ANNOUNCE SHORTLY THAT WE WILL BE MARKETING SOME EXCEPTIONAL ICONIC NEW BUILDINGS. WE ARE OPENING NEW OFFICES ON FIFTH AVENUE. WE ARE OPENING A STUNNING OFFICE UPTOWN. WE HAVE SOME AMAZING PEOPLE JOINING THE COMPANY. MY DREAM OF A REAL ESTATE COMPANY WITH TRULY COLLABORATIVE BROKERS FUELED BY GREAT TECHNOLOGY LOOKS LIKE IT IS BECOMING A REALITY.